Announcement We offer fine leather goods as well as vegan friendly items. We cater to the need of the Punk, Rock, Goth and Biker community. We offer fine leather goods as well as vegan friendly items. We cater to the need of the Punk, Rock, Goth and Biker community. Arrived quickly. Great quality for a great price. My man loves it. Yunus Manzoor began his passion for crafting quality leather products at the age of 7, when his father, Joseph, first established Manzoor International in 1981. Due to their close relationship, he accompanied his father to trade shows, client visits, boutique shops, and fashion exhibits; learning all aspects of the leather and accessories business throughout his youth. By his early teens, Yunus was assisting his father in his shop, honing his skills and developing a keen eye for detail. He officially began working alongside his father when he was 16, and brought the influence of the rock and roll scene prevalent during that period to his designs. These rock-inspired creations were a hit and the Manzoor’s family business continued to flourish. In <<year>>, Yunus took over Manzoor International and launched Spikes and Leather, which offers a variety of leather accessories with a Punk, Goth, and Rock & Roll flair. Still influenced by his experiences in St. Mark’s Place, Yunus designs modern pieces fitting of the iconic fashions of the 80s. 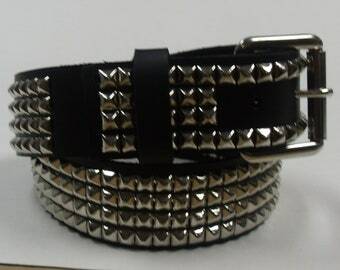 Spikes and Leather provides custom products for hard to find sizes and styles, handmade in Long Island. They also cater to DIY projects by supplying hard to find nailheads, rivets, studs and spikes for leather work. As buyers and sellers of quality leathers, Spikes and Leather can source most leather needs.